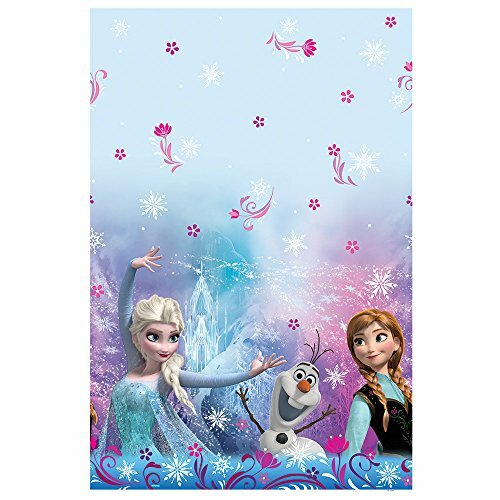 Disney Frozen Plastic Table Cover measures 84" x 54"
Bring the magic of Arendelle to your party table with this Disney Frozen Plastic Table Cover. This convenient, disposable plastic table cover features Disney princesses Anna and Elsa and their snowman pal Olaf on a blue and purple background. 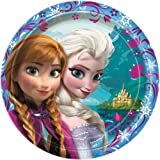 Coordinate with other Disney Frozen tableware and party supplies from Unique to make your child's birthday or Frozen theme party truly magical. 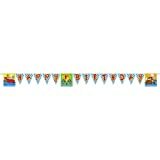 The Disney Frozen Table Cover measures 84" X 54".